In a blender blend 1 cup cherries, coconut milk and honey till smooth. Pour into a bowl and add the chia seeds and vanilla extract. Chop the remaining cherries and toss with some lime zest, lime juice and brown sugar. 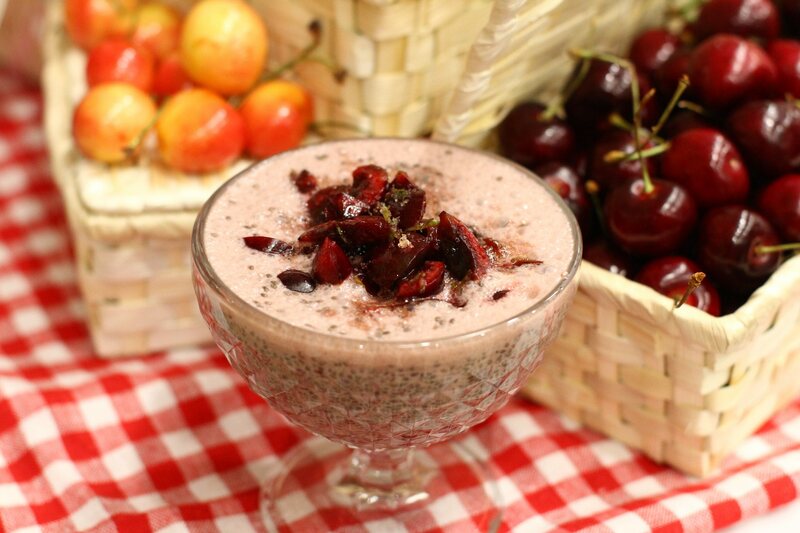 Pour the cherry chia pudding mixture in a nice glass and top with the fresh chopped cherries. Put the glass in the fridge for at least 1 hour to set completely. Serve cold topped with a mint leaf for garnish.